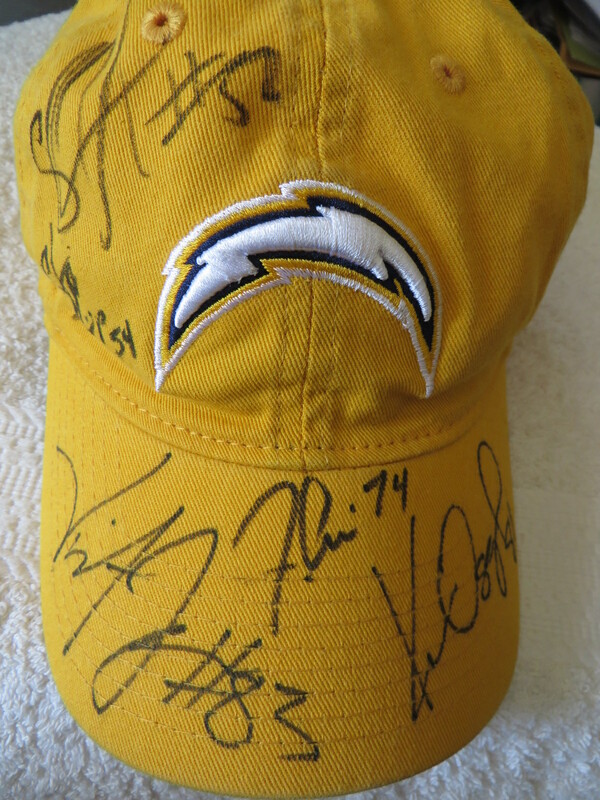 Yellow embroidered San Diego Chargers cap or hat autographed in black marker by five key members of the 2005 team that finished 9-7: star wide receiver Vincent Jackson, star linebacker Shawne Merriman, starting defensive players Jacques Cesaire and Stephen Cooper, and special teams star Kassim Osgood. Obtained in person, with certificate of authenticity from AutographsForSale.com. ONLY ONE AVAILABLE FOR SALE.